UPCOMING - John, KB8RJ and Christina WD8KUR will be active from Saba as PJ6/KB8RJ and PJ6/WD8KUR between March 4-10, 2014. QRV on HF bands. QSL via H/c. Nobby, G0VJG will be active from St Lucia between June 5-18, 2014. QRV on 40-6m. QSL via G4DFI. REMINDER - Francoise, F4BMR will be active as TO4YL from Martinique between February 8-22, 2014. QRV on 160-10m. QSL via F5GN. Hugh, W4VAB will be active from the Cayman Islands as ZF2MT between March 15-22, 2014. 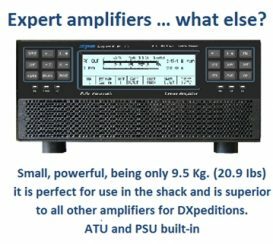 QRV on HF bands, CW / PSK31. QSL via LoTW / eQSL. Daryl, W7TAE is now active from St Martin as FS/W7TAE until January 18, 2014. QRP activity on 12-17-20m, SSB/CW. QSL via H/c. Yves, F5GN informs he is now active from Martinique as FM/F5GN throughout January and February. QRV on 80-10m. QSL via H/c. *Yves's wife, Francoise, F4BMR will also be active as TO4YL from Martinique between February 8-22, 2014. UPDATE - JA3ARJ, JA3AVO, JA3UJR and JH3PBL will be active as TO3JA from Martinique between January 13-19, 2014. 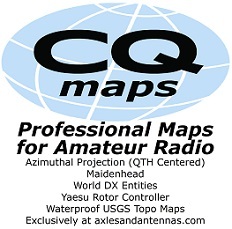 QRV on HF bands, CW/SSB/Digi. QSL via JA3AVO. Manu, ZP9MCE will be QRV holiday-style from Punta Cana Beach, Dominican Republic as HI7/ZP9MCE between April 7-14, 2014. 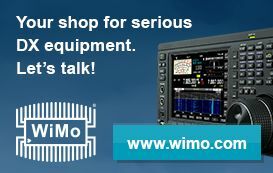 QRP activity on 20, 30, 40m - CW only. QSL via EA5ZD. 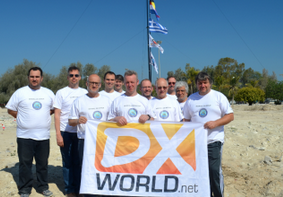 Result – DX World DXpedition of the Year! Jim, N4BFR and Newton, N4EWT will be active from Georgetown, Cayman Islands as ZF2JS and ZF2KO between January 18-23, 2014. QRV holiday-style, CW/SSB/PSK31/JT. QSL via home calls or LoTW. Tim, AF1G is now resident on Andros island, Bahamas as AF1G/C6A until November 2014. QRV on 80-6m, SSB. QSL via LoTW (or direct to Tim Hardy, PSC 1012 Box 593, FPO AA 34058-9998, USA). Starting December 31st, and signing HI8/homecalls, look for RU4LG, RA4LB, UA4LGS and UA4LL to be active from the Dominic Republic. 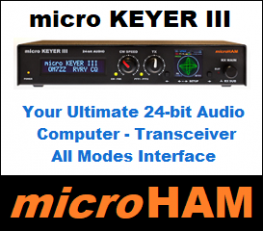 QRV on HF bands, CW/SSB/Digi. Entry in the ARRL Roundup RTTY Contest. QSL via H/cs.